Yes Securities is a key player in the stock market with hundreds of Yes Securities Sub Broker working under them across India. Yes, Securities is a young share broker in the market who has started a few years back with a lot of zest and motivation. This article is going to analyze how it is doing its business, what are it’s business models, revenue sharing structure, and eligibility criteria for the partners and many other details that would intrigue you if you are looking for partnering with Yes Securities. This article will focus on the Yes Securities sub-brokers and other partners and will also discuss the Yes Securities franchises. If you are an investor, do not feel left out as the article will also inform the investors about the different services and brokerage applicable to them. The account opening and maintenance charges and the margin requirement and many other details. The Yes Securities customer ratings suggest that the company executives and partners are quite good with handling clients and customers. The 2.4 rating in customers experience and services suggest that the customers are happy with the services and the kind of experience they have or had in the company. The products and the trading terminals need upgrades as seems from the 2.3 and 2.2 rating. The support of the company seems fair as per the 2.4 rating. Though the amount of security deposit or the investment amount seems to bother the partners they are happy with the revenue percentage they get as it can be depicted from a 2.5 rating for the revenue sharing models. The offers are rated at 2.4 shows that the partners are good with the offers they get. The overall rating is fair enough and it is 2.4. Yes, Securities is a public limited company and working as a full-service broker in the industry for 5 years now. It has been started by Prasanth Prabhakaran in the year 2013. The company has it’s headquartered in the financial capital of our country that is Mumbai. The sub-brokers code activation time is 30 days and the payout time is 31 days. It is quite the same as the master franchise model, however, the sub-brokers can be in any number in one area and there is no monopoly like there is in master franchise more. So, this makes the competition tougher for the sub-brokers. However, the amount required to join as a sub-broker is lower than the amount required for joining as a Master franchise of Yes Securities. It is a business model wherein a particular locality or area, there can be only one franchise of Yes Securities and that franchise will acquire clients on its own. The revenue generated from the sale of products and services of the company through these franchises will be shared with them. They are neither franchise holder nor sub-brokers, they work individually as agents of the company. They get leads from wherever possible and then if the company can generate revenue by selling products or services to that lead then the Remisier earns a portion of that revenue. This is the lowest investment business model amongst the three. 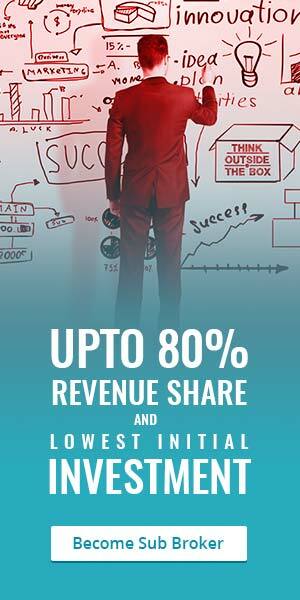 For the market franchise the Yes Securities revenue sharing model is 75% to 80% that is if the master franchise invest the minimum franchise cost (discussed in the next section) then it will be entitled to receive a 75% on the revenue and if the franchise cost invested is the maximum amount then the revenue share will also go up to 80%. Similarly, for the sub-brokers, the revenue share ranges within 50% to 70% depending on the amount of the security deposit. For the Remisier, the revenue percentage shared with them is flat 20%. For the master franchises, the Yes Securities franchise cost starts from Rs. 2 lakhs and ranges up to Rs. 5 lakhs. Similarly, the sub-brokers security deposit is within the range of Rs. 50000 to Rs. 100000. For the Remisier the amount is Rs. 20000 and it is a fixed amount. Yes, Securities support includes all kind of support that can be possibly available. Whether it is marketing of the business of the partners or helping them with the back-office needs, trading activity, the company is there for all. Advisory support is also provided to the partners. This is not the end, as the company not only support when they fall but also train them to be the best in the market with dealing training, acquisition and product training. 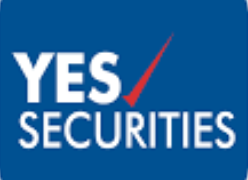 The brokerage charges of the Yes Securities is 0.51% for the equity delivery segment. For the equity intraday, futures, currency futures, and commodities segment, it is 0.05%. For equity options, the charges are flat Rs. 51 per lot and for currency options, it is Rs. 31 per lot. For an opening account with Yes Securities, you need Rs. 400 which is a onetime fee. For yearly maintenance, Rs. 350 is the charge for Demat account and it is free maintenance for the trading account. The transactional cost is at 0.00321% and the margin money requirement is Rs. 15000. Become a Sub Broker with Yes Securities – Get a Call from Franchise Manager!